Telstra will leverage a combination of its Telstra Air Wi-Fi network, Cat M1 support on its LTE network and a new Bluetooth ‘community’ to power a suite of location-based services targeting both consumers and enterprises. The telco this morning detailed its plans ahead of the formal launch of two separate sets of services: Telstra Locator for consumers and SMBs and Track and Monitor for enterprises. The new offerings will include Wi-Fi, Bluetooth and LTE-capable tags intended to help individuals and businesses track items, ranging from keyrings and pets (via tag-equipped collars) through to toolboxes, containers and vehicles. The first to launch will be a locator-service for phones that will be based on an updated version of Telstra’s 24/7 mobile app. The telco’s post-paid customers will be able to opt-in to the service, which will allow them to locate their handset as well as optionally push a message to the handset that could include directions for returning it. The opt-in service will also make the customer part of a new “Bluetooth community”, which will help underpin a range of further tag-based location services for consumers and businesses. 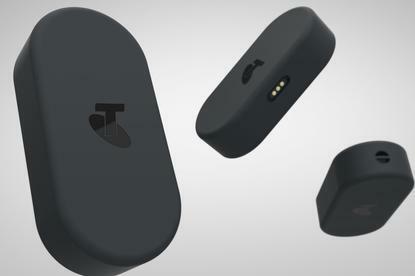 The first ‘tag’ from Telstra will be a lightweight Bluetooth-based product that is designed for being attached to keyrings or purses and will have an easy-to-replace battery. The second to launch will be a slightly larger tag equipped with Wi-Fi capabilities intended to be used for bigger and more valuable items such as a work bag. Users will be able to set up Wi-Fi zones using an app, allowing an item to be tracked when it leads a designated area. The third product will be launched next year and will include cellular capabilities, vastly expanding the tracking range. It is intended for use with large, expensive items such as toolboxes, trailers or vehicles. The Wi-Fi and LTE-equipped tags will use accelerometers to trigger wireless broadcasts, maximising their battery life. The reach of Telstra’s location services will be expanded by the 5000 payphones that act as hotspots for Telstra air as well as more than 6000 taxis and Telstra’s own 6000-strong vehicle fleet being fitted with Bluetooth technology. Last year Telstra announced it was switching on Cat M1 support over its LTE network and in January this year it revealed it was also rolling out support for NarrowBand IoT (NB-IoT). The telco now offers Cat M1 coverage across 3 million square kilometres. Telstra's executive director, network and infrastructure engineering, Channa Seneviratne said it is “rapidly expanding” its NB-IoT coverage and that it will soon match its Cat M1 footprint. In addition to the company’s network assets, in November it revealed it had acquired telematics company MTData. Telstra’s enterprise IoT chief Gerhard Loots said that the telco’s new enterprise location services will be leveraging the same technologies as the consumer and SMB products. The tracker is intended to being attached to large, valuable assets, he said. Tracking of smaller items within a supply chain, such as a shipment of food, will be done with smaller, cheaper devices, which will be based of Bluetooth and can be attached to “millions of crates”. Telstra has been working with a number of customers across a variety of industries including retail, utilities, government and transport, Loots said.